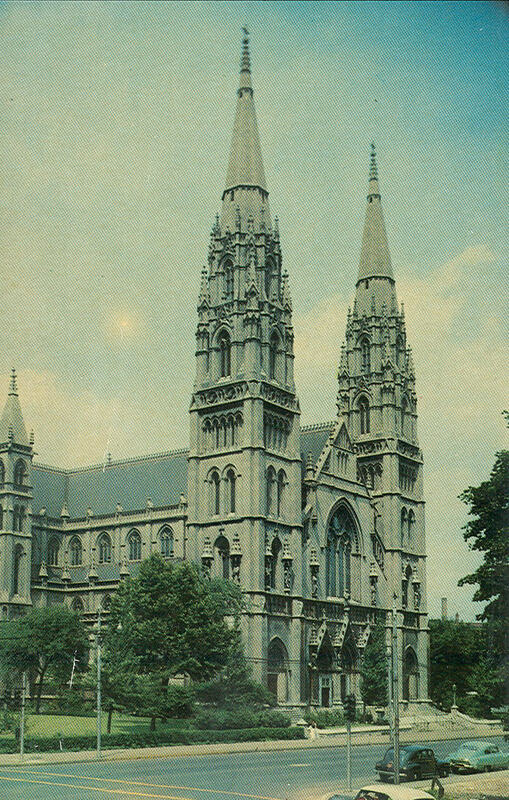 St. Paul's Cathedral, Pittsburgh, Pa. This beautiful Roman Catholic Church situated in Oakland is the head church of the Pittsburgh diocese. It is one of the many fine buildings which make this district one of the beauty spots of Pittsburgh. 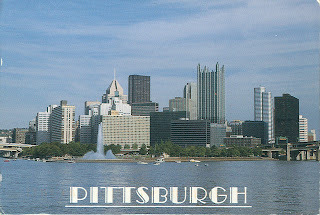 Pittsburgh was once known as the "Smoky City" becuase of its large number of industrial smoke stacks. A period of renaissance has given the city a new image and an attractive skyline. This view is from the south bank of the Ohio River. 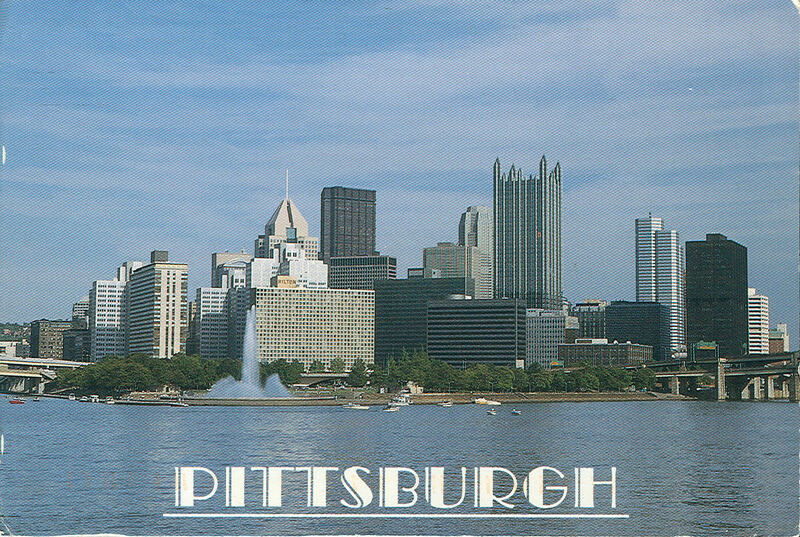 I never knew Pittsburgh was so pretty!